Divinians garnered awards during the 28th National Statistics Month Celebration, with the theme “Facts and Figures for the Future: Statistics for Evidence-Based Decisions towards AmBisyon Natin 2040,” at Saint Louis College, San Fernando City, Las Union on October 19, 2017. 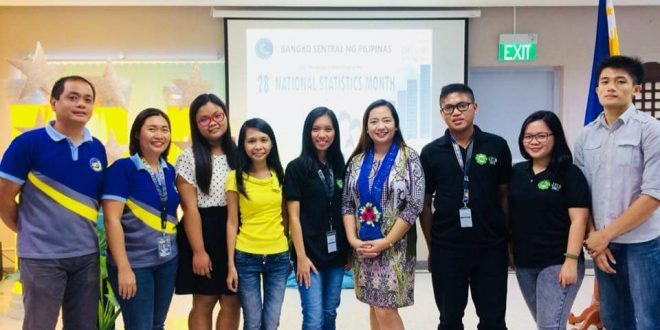 Alyssa Colobong, Joyce Callo, and Lorence Jude Angelo Almazan (Bachelor of Science in Accountancy – IV students) won first place in the Regional Statistics Quiz and Mark Harold Villanueva (Bachelor of Science in Business Administration – IV student) placed fourth in the Regional Poster-Slogan Making Contest. Jessa Rei Constantino (BSA – IV) and Manilyn Calina (BSBA-IV) both ranked third in the Oratorical Contest and Essay Writing Contest, respectively, during the provincial eliminations held at Bangko Sentral ng Pilipinas – Batac Branch, Batac City, Ilocos Norte, last October 16. Their coaches were Mr. Jesus Reyes, Mr. Maynard Lucas, and Ms. Leilanie Jane Mateo.